A Message From The SafeBeat. Having trouble seeing this e-mail? View it in your browser. 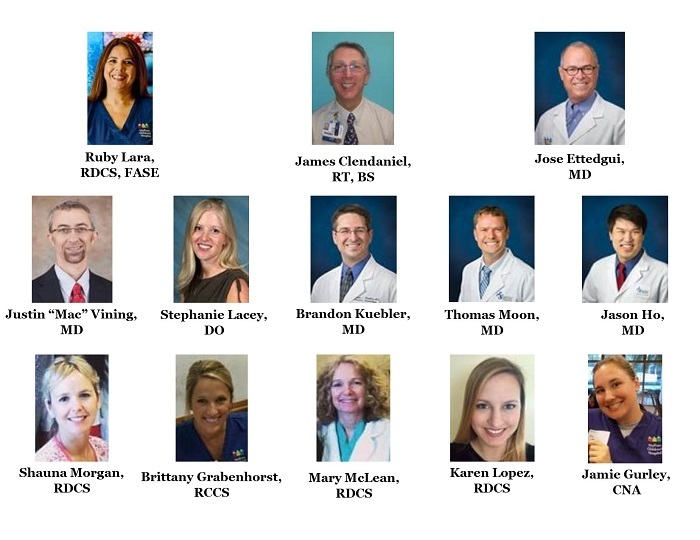 We would like to take the time to personally thank each and every one of the individuals below for their enormous amount of support and volunteer time spent to help make our Spring 2018 heart screening events successful! Wolfson Children's Hospital in Jacksonville, Florida faithfully provided staff to assist with numerous needs - ECHO techs and pediatric cardiologists for our Okefenokee RESA screening event, support and communication staff throughout the entire set of spring screenings, on-site EKG techs and support staff, and pediatric cardiologists to over-read student medical charts and EKG results. We are truly grateful for their unwavering assistance and are looking forward to future success with their incredible team! We have been incredibly blessed to have been given the support network that surrounds us. We are looking forward to many more screening events and the opportunity to work with some of these fabulous individuals as well as new volunteers in the future! From the bottom of our hearts, we thank you! © 2018 SafeBeat. All rights reserved.